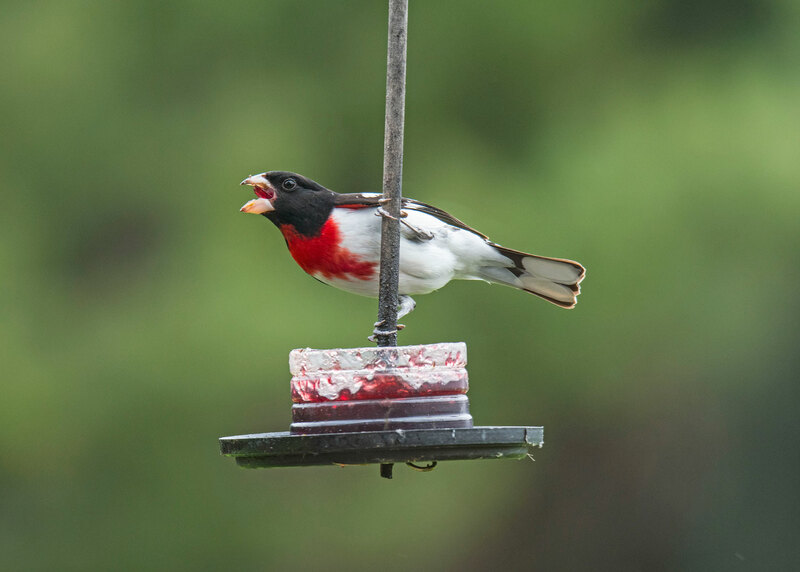 The Rose-breasted Grosbeaks are eating most of my sunflower seeds. Helping the Grosbeaks are the American Goldfinches. 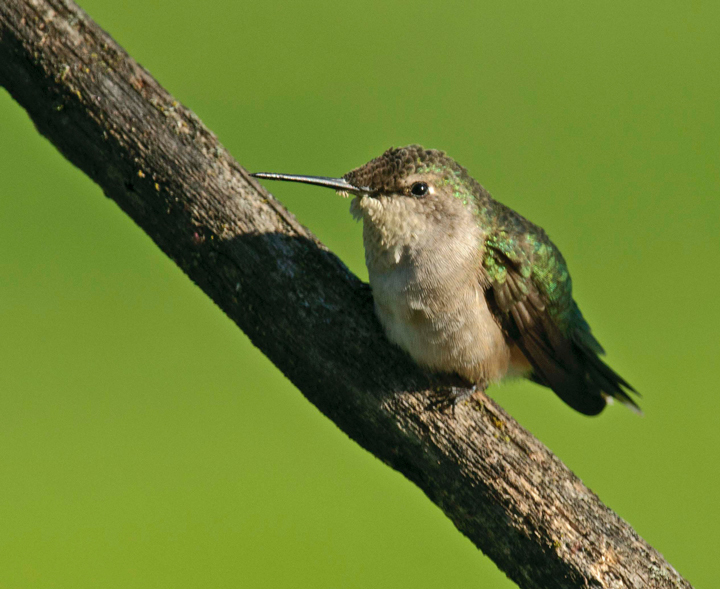 They are also eating most of the thistle seeds. 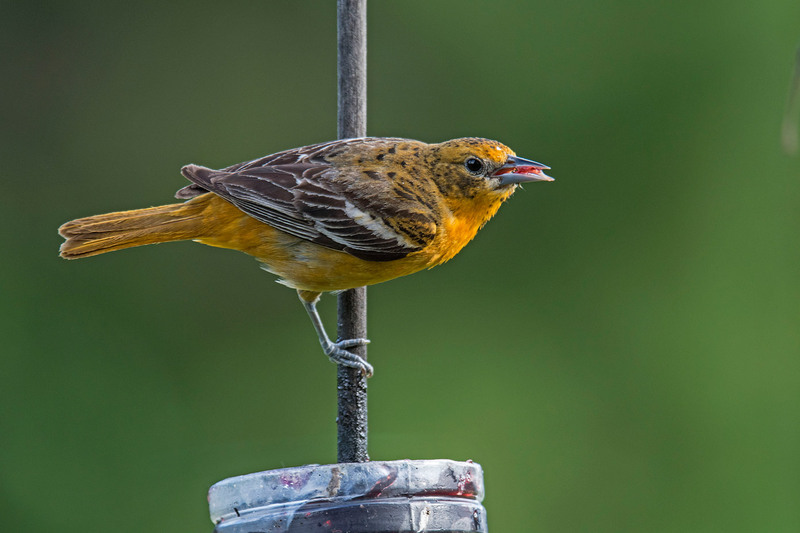 At the start of summer the Baltimore Orioles were absent from the feeders while they raised their young. They have now returned with their young. 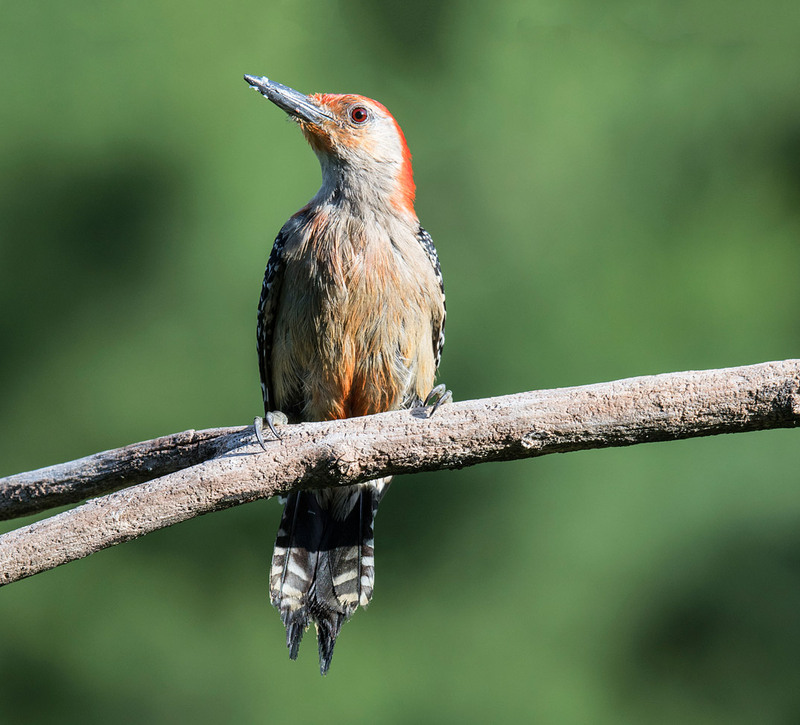 Red-bellied Woodpeckers have been at the feeders all summer eating suet, sunflower seeds and grape jelly. 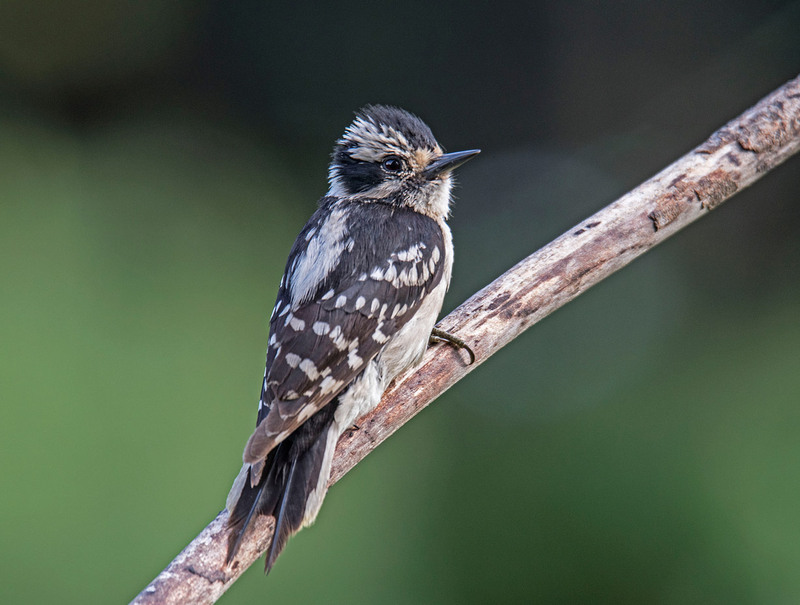 Downy woodpeckers have also been at the feeders. 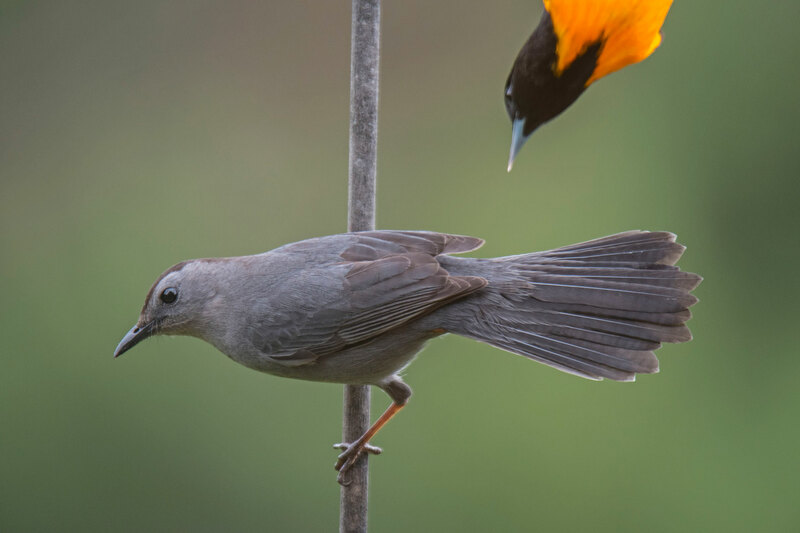 The Grey Catbirds have a nest near the feeders and spend a lot of time eating grape jelly. 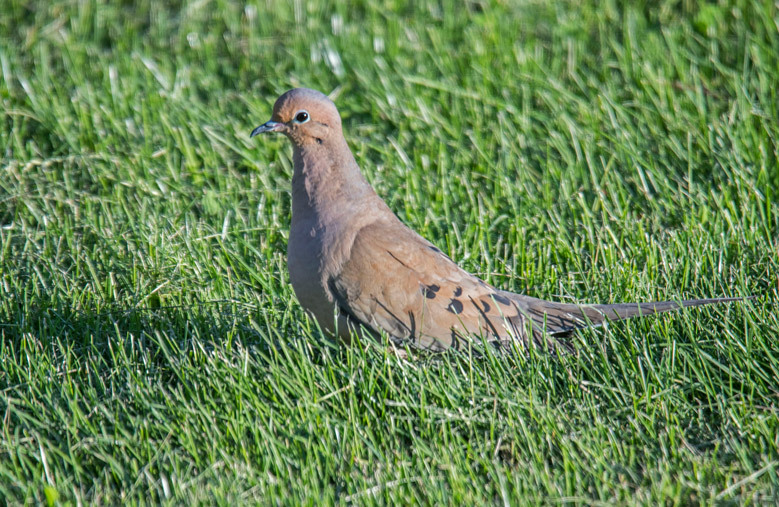 Mourning Doves spend a lot of time under the feeders cleaning up the mess. 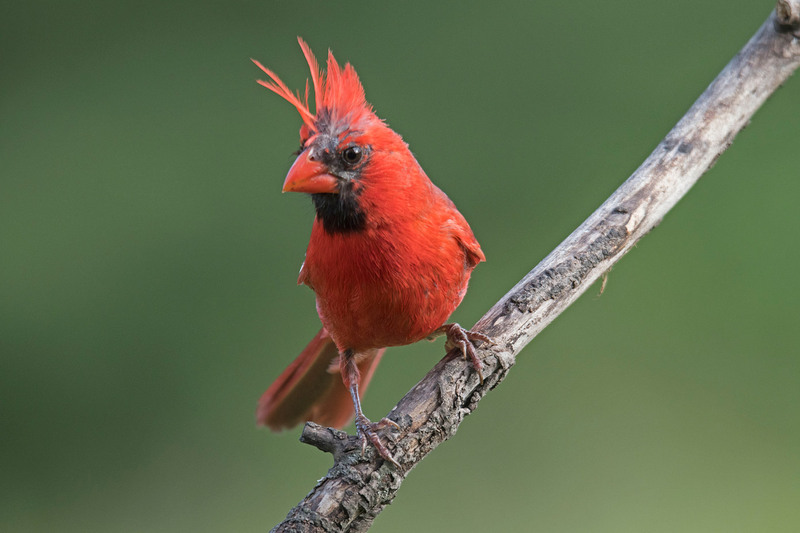 Northern Cardinals are around year around. We had several storms move through yesterday. 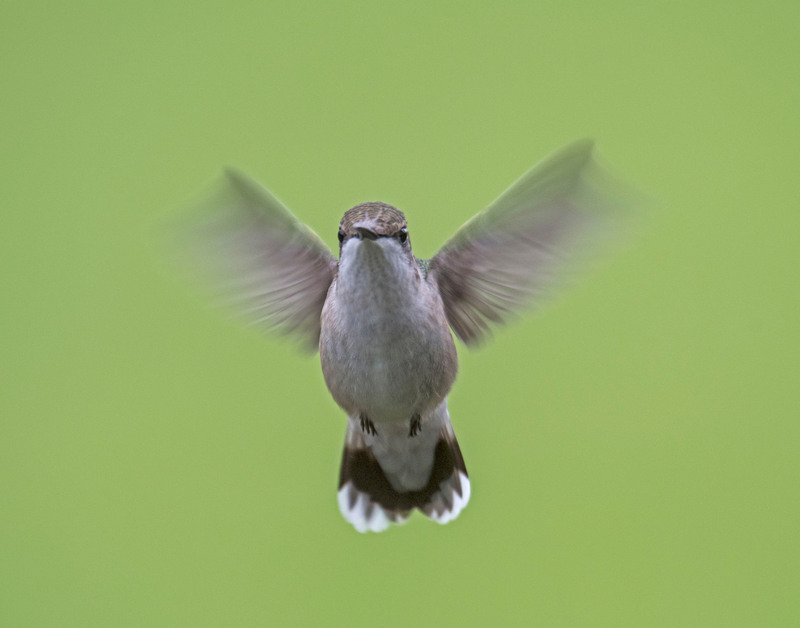 After the storms moved through I enjoyed watching the birds. 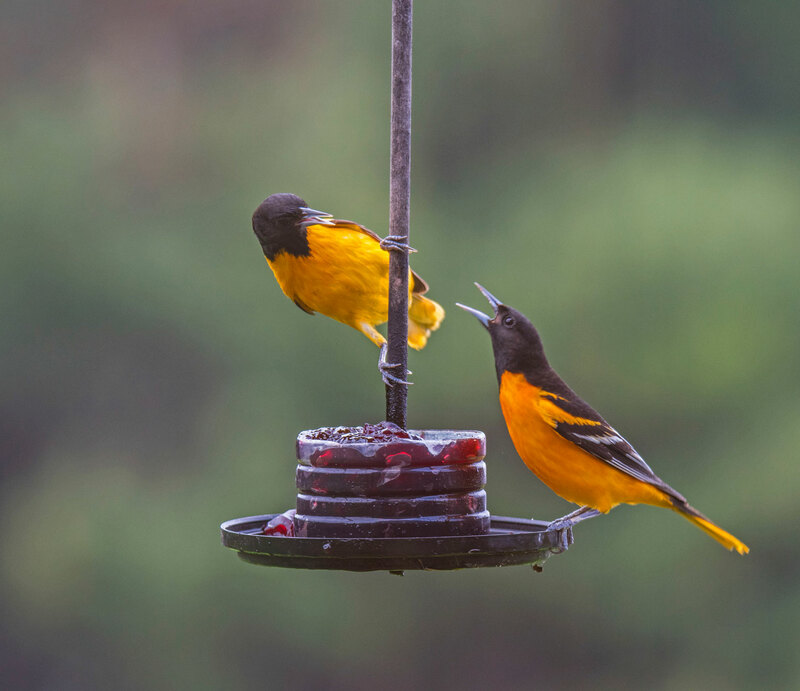 The Baltimore Orioles seemed to have problems staying dry ad did the female Rose-breasted Grosbeaks. 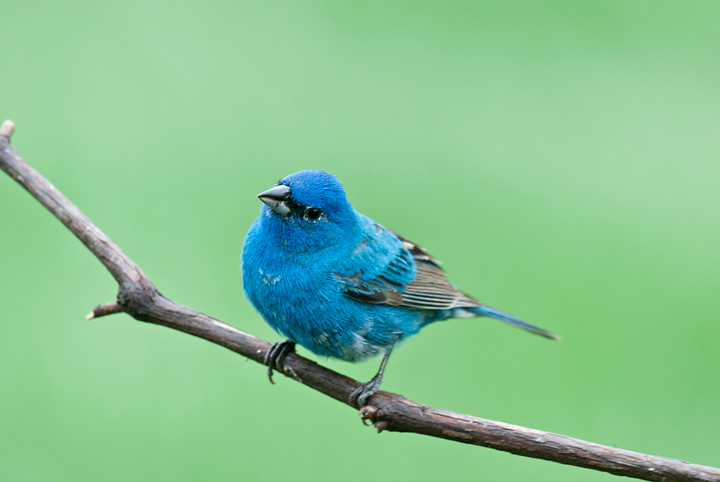 I have a number of birds at my feeders. 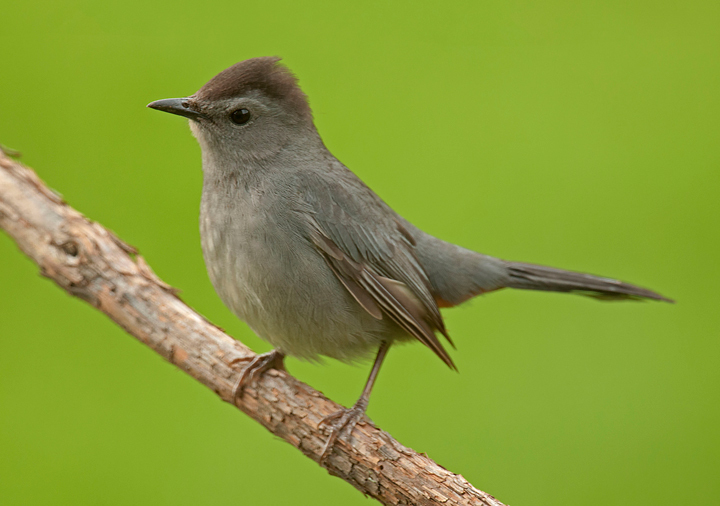 They Grey Catbirds have been around and are raising their young in a pine tree near the feeders. They have been battling the Blue Jays most of the summer. 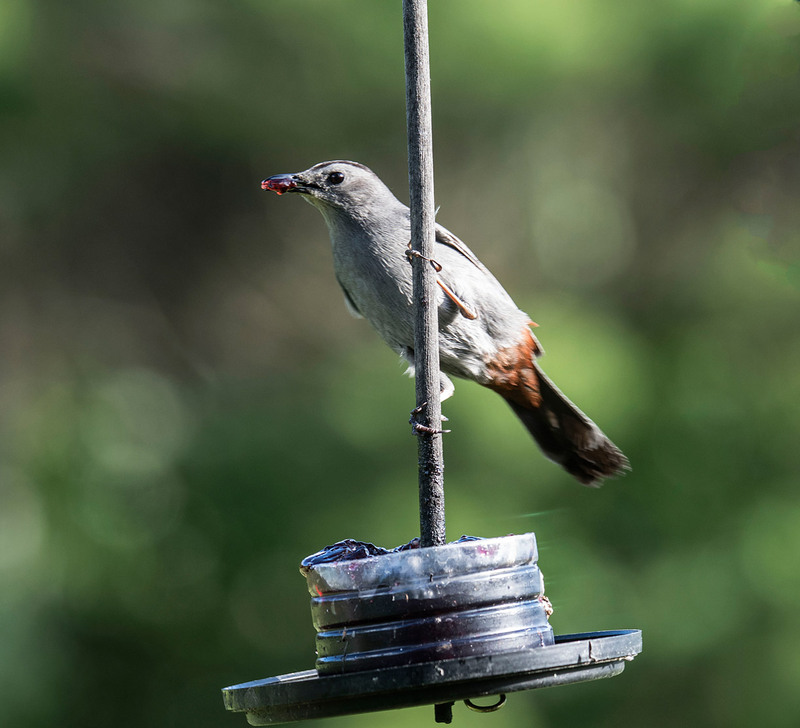 Apparently the jays go after the eggs and young of other birds. 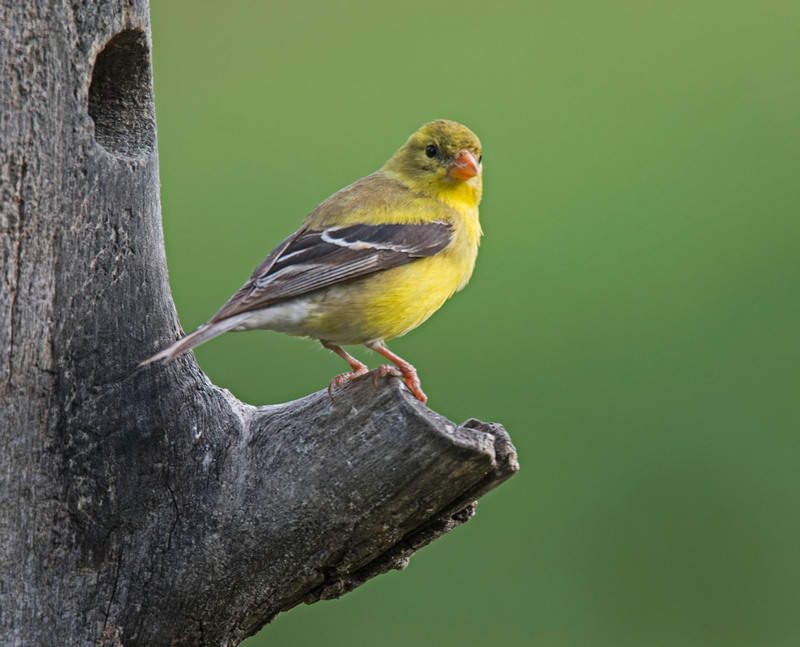 The goldfinches have been absent for much of the spring. I have no idea why but they have returned recently to feed on the thistle seeds. 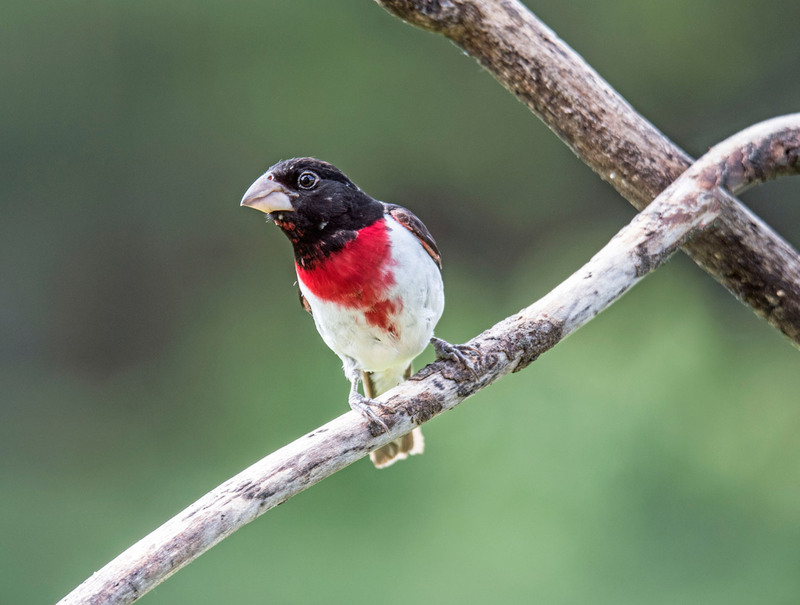 The Rose-breasted Grosbeaks have been around most of the summer and have recently returned to the feeders with their young. 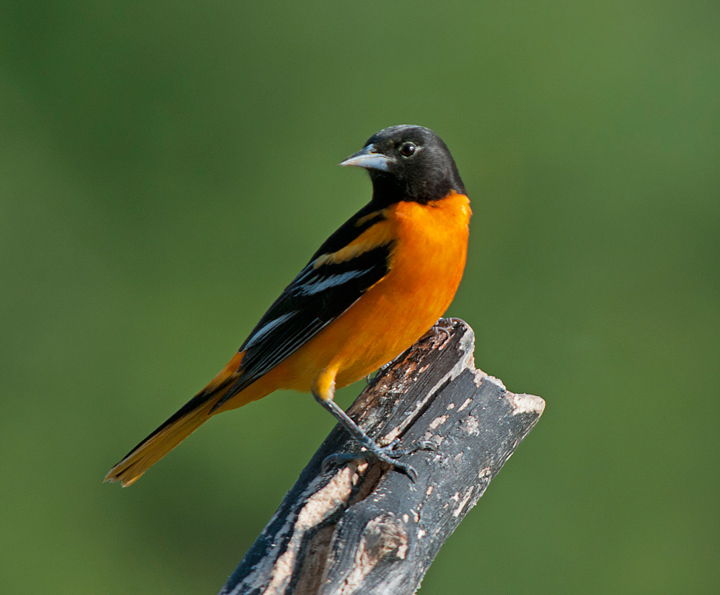 The Baltimore Orioles were absent while they were raising their young. 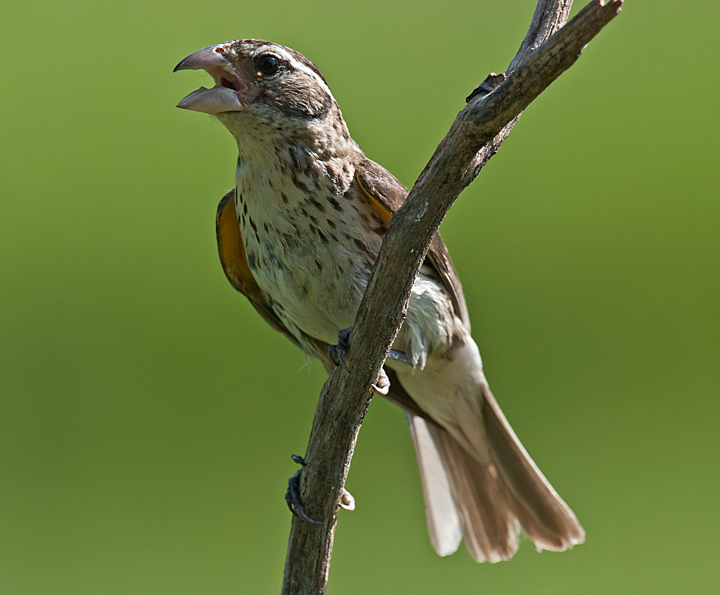 They have recently returned to the feeders in large numbers with their young. I have a few Chipping Sparrows around the feeders from time to time. 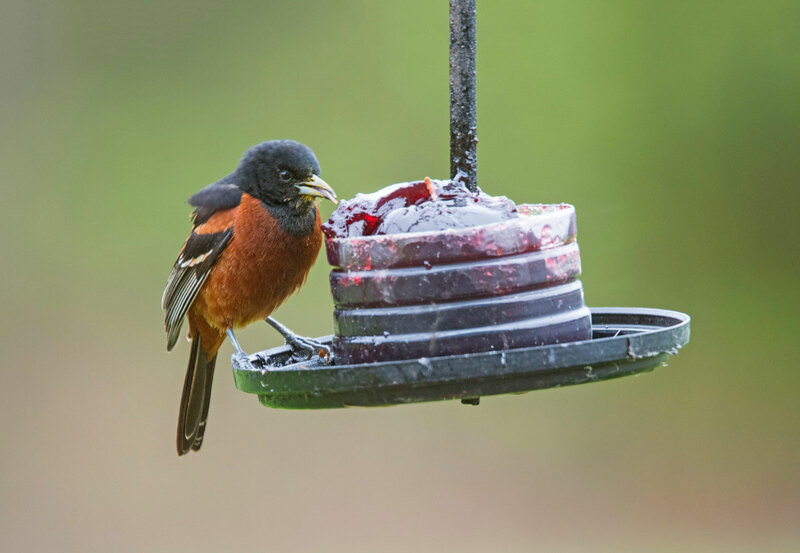 It is not just the orioles that like grape jelly. 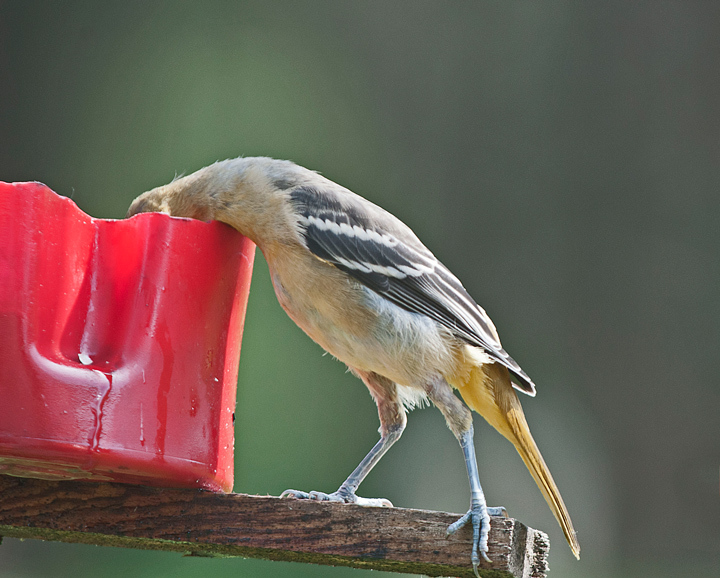 I continue to find a variety of birds at the jelly feeder.